The information from this page are valid for: Ramcom AV-20, Aristel AV-20, Aristel AV-38. 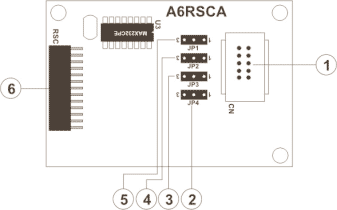 The AV-20 and AV-38 RS-232 Card card is optional and item code is A6RSCA. Access to the system programming zone is restricted to personnel with the "Programming Password". Because it can check the programming steps and information during the programming only LCD Key Phones can be used for programming. Step 2. Press [FUNC] + [#]. System will ask for Programming Password. status and restart from Step 2. If the system accepts the password you can now enter the system programming and the LCD phone will display the following message. Step 6. Enter the zone number in which you wish to set the data. Step 7. Press [SAVE] to confirm the setting data and it will be stored in the system memory. The programming will go on to the next step automatically. Step 8. Press [FUNC] key at any time to return to the main message. NOTE 1: 1. The current programming status will be displayed on LCD. 2. There are 16 characters divided by two (2) lines in LCD display. The upper line is the ROGRAMMING STATUS AREA. The lower line is the SETTING DATA AREA. Step 1: Handset on Hook. Step 2: Press [TRF/FL] twice (in AV-8/AV-12/AV-38/AV-64/64H), or press [TRF/FL] 3 times (in AV-256). 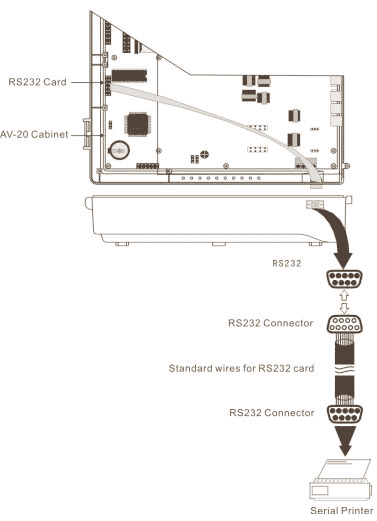 output is unlock will display "SMDR is unlock"
Just 1 RS-232 output outlet for this system. 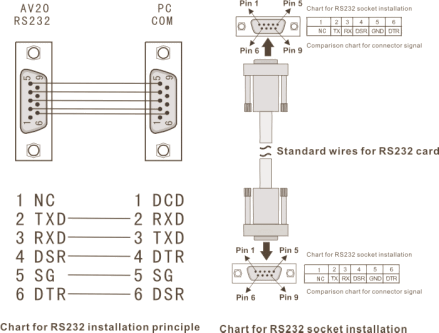 RS-232 must be installed in the A8MBUA. The jumper(JP1~JP4) should be confirmed to jump to the right place. The jump method please see the description of Chart 4-8 A6RSCA (RS232 Card) Layout.